Gemmy rhodochrosite pendants. What can I say? Gorgeous. Magical. And very limited. Each of these rhodochrosite pendants is a finely crafted work of art. Rhodochrosite’s swirling pinkish hues will draw you in, while its abundant loving energies will help you on your journey to heal your heart wounds, both new and old. Plus, did I mention just how exquisite these pendants are? Rhodochrosite is a stone of love, and its energies are primarily directed toward emotional self-healing. This stone can provide support in doing the necessary work of releasing and recovering from the memories of one’s emotional wounds. Rhodochrosite is a valuable ally for this transformational process, as it emanates warm currents of inner peace and self-forgiveness. Is your heart in need of healing? These gemmy rhodochrosite pendants are meant for you. 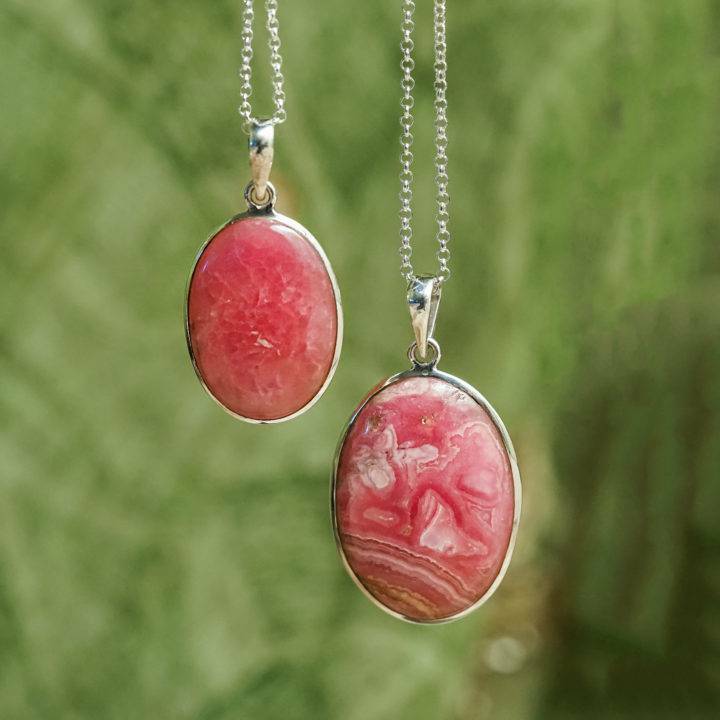 These high-end rhodochrosite pendants are set in genuine 925 silver, and are absolutely gorgeous, but beyond their beauty and elegance, they carry meaning and energy. Jewelry for us priestesses, energy workers, goddesses, and sorcerers is not just a matter of accessorizing. You all know I believe in sacred adornment – in the process of deliberately choosing each piece of crystal jewelry with care and intention. These choices matter. Because when we wear jewelry, we invoke the elements and metaphysical energies of the stones we choose to adorn ourselves with. Rhodochrosite cleanses, alleviates, and heals the energy field around your heart. 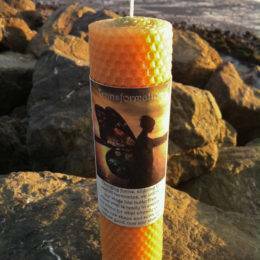 This stone can repair holes or damaged areas in your auric field, particularly in the emotional body. 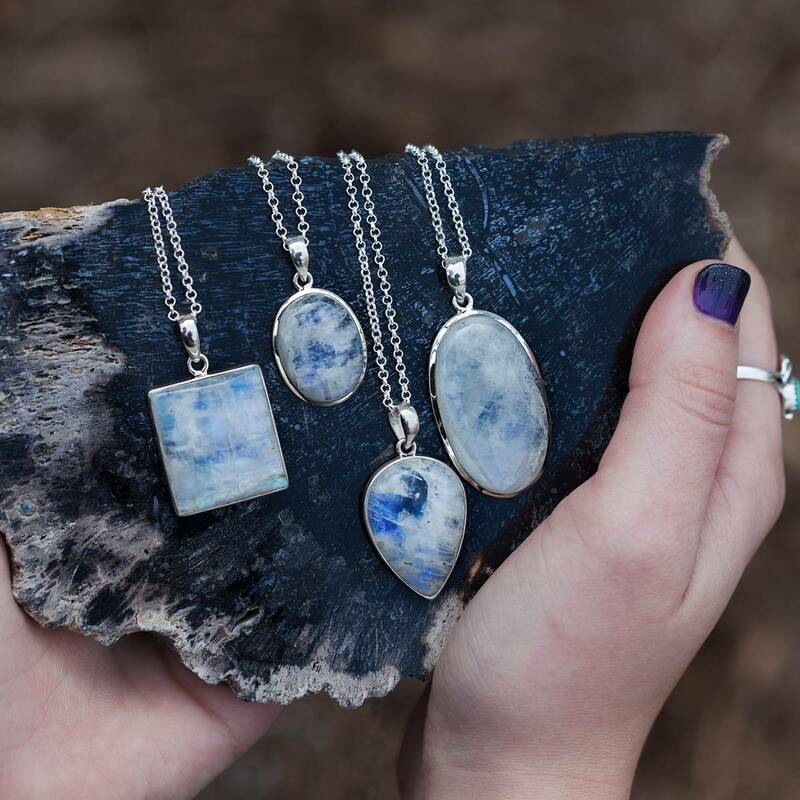 It can help you engage in deeper meditations, and it is a stone that embodies joy as well. Try wearing your rhodochrosite pendant outside during the day time, amongst the beauty of nature. Keep an open heart, and don’t be surprised if you find yourself re-living those feelings of grace and magical happiness that were so natural in you as a child. Give yourself permission to experience the love of Source. Remember, you are the beloved of Source. Love is your greatest gift. Start with embracing the love within you. May this rhodochrosite pendant help you blossom into the Goddess you were meant to be. This listing is for one (1) gemmy rhodochrosite pendant. I have two sizes to offer you. A Large pendant is about 1.25” in size and an X-large pendant is about 1.5”. Use the drop down menu to choose the pendant you feel called to. 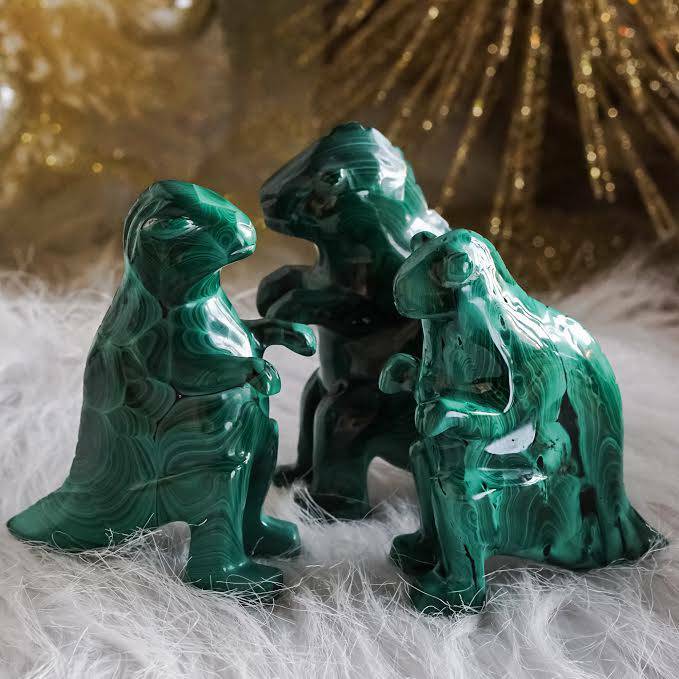 Yours will arrive lovingly gift-boxed along with one white sage leaf you can use to clear energies, and a card describing the properties of the stone.